Not only is it very snowy here, in Quebec, but today was something… Indeed, it’s the first snowstorm of the year, and cars are going in all directions… except the one the road is following! And that’s the day I chose (in advance) to bring the car to the garage for my overheating problem… I rightfully thought that the tuning guys are not very busy at this time of the year, so it made sense to bring them my “summer” car at this time of the year. 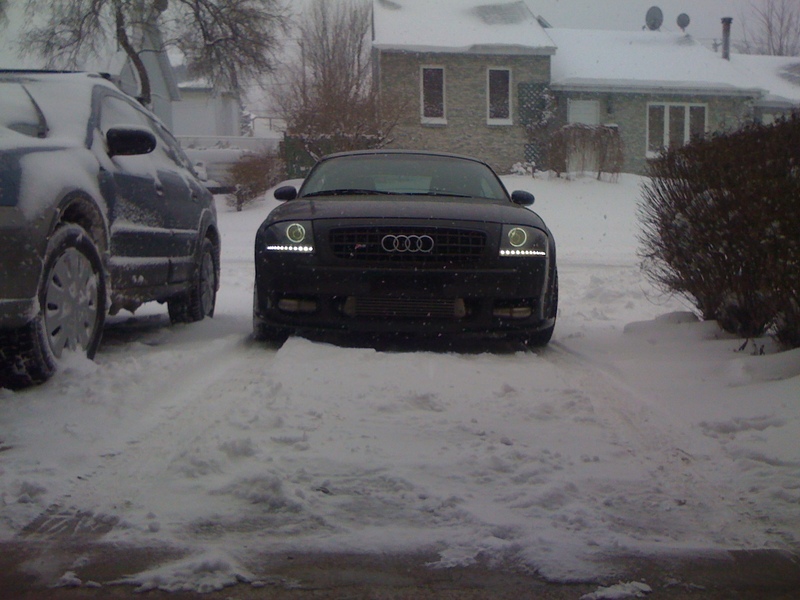 So I did, on summer tires… Lots of fun. I had the impression of driving a boat: giving a “general” direction and see where it would bring me! This entry was posted in My Audi TT RS Project and tagged Audi TT MK1 V6 Turbo, audi tt turbo, tires. Bookmark the permalink.